I have burned over 50 lbs of fat and gained 65 lbs of muscle naturally, and continue to exercise and eat healthy on a regular basis, so I wanted to locate a pure powdered protein source that was free from controversial additives that I could utilize for convenience and portability. Because of serious concerns with whey protein powder (which I will elaborate on later), I decided to find an all-natural egg based alternative with no additives or artificial ingredients, providing pure 100% egg whites in powdered form, as this allows a healthy equivalency to real food, which is not possible with whey protein powder products. • 100% pure dried egg white protein powder with no additives or artificial sweeteners. • No cholesterol or carbohydrates. • USDA inspected, farm fresh, and Kosher approved. • Healthy and convenient protein source. Many who follow my MuscleNOW & Fat Vanish programs are unable to consume solid foods at certain times of the day due to busy schedules, and are in need of both a convenient and portable solution for their protein needs. It is not difficult to find proper carbohydrates sources that are portable and easy to consume, but protein is a different story entirely, and I have found that many of my MuscleNOW and Fat Vanish customers, in pursuit of convenience, are using products from large supplement manufacturers that contain potentially harmful artificial sweeteners, and other unhealthy additives, all of which I strongly recommend avoiding. Because of the demand that my MuscleNOW & Fat Vanish clients have for portability and convenience, I was able to find an egg white based protein powder that provides no additives or sweetening whatsoever, offering a portable, convenient protein source void of the harmful ingredients that taint most available powders. As a note to those who currently use meal replacement bars — I strongly suggest you instead use egg white protein powder, since meal replacement bars contain many controversial ingredients. 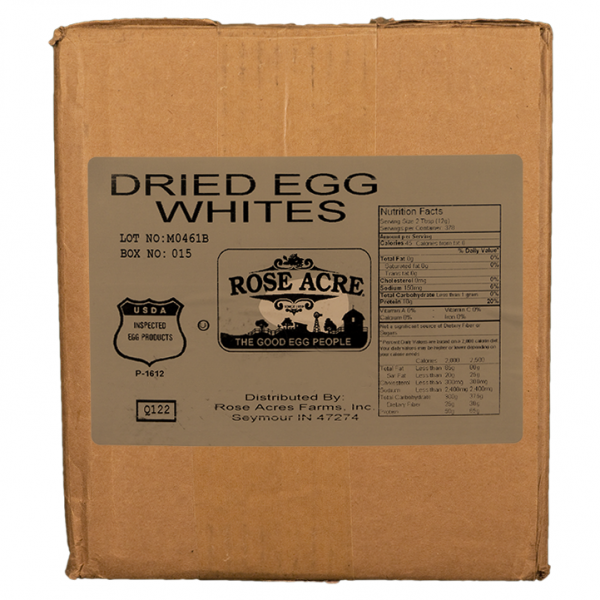 Also, if the protein powder you currently use contains additives or artificial sweeteners (most do), then you should instead consider using the Rose Acre Farms Egg White Protein Powder for your daily protein needs. Unfortunately, bodybuilding and weight loss supplement companies have once again created a very large and significant dose of misinformation regarding which protein source is best for achieving a wide range of fitness goals. They have mislead many into believing that whey protein powder is superior to other protein sources (including whole foods! ), even producing gimmicked “slow” and “fast” digesting versions of protein that they recommend at different times of the day. 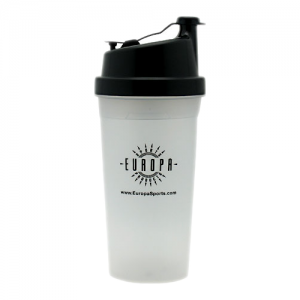 But the truth is, egg white protein powder is just as effective at building muscle mass or supporting a weight loss routine than any other complete protein source (including meat), negating the falsely promoted need and advantage of whey protein powder. 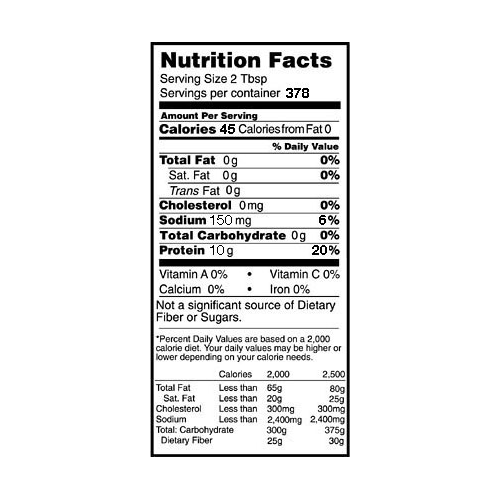 MSG, which has been linked with cancer, is a byproduct of whey protein powder production, therefore whey protein, in and of itself, poses potential health risks. In addition, weight loss and bodybuilding supplement companies will sometimes use fillers and take shortcuts in producing whey protein in order to increase their profit margin, and this approach renders the final product far less potent in terms of the useable protein offered per gram, and fitness results will consequently suffer. This cannot occur with the Rose Acre Farms Egg White Protein Powder, which is produced and dried under USDA inspection. Lastly, the vast majority of whey protein powders also include other ingredients (artificial additives and sweeteners) which have been linked with health issues, and are therefore inconsistent with a healthy lifestyle. Fish, a popular protein source, is now at the center of a mercury poisoning scare, thus the consumption of certain types of fish needs to be greatly reduced (including tuna), which leaves meat, dairy, and cooked egg whites as the other viable protein options (soy may elevate estrogen levels when consumed in large doses, so I personally avoid soy in my diet). The Rose Acre Farms Egg White Protein Powder is the safest available alternative to supermarket protein sources, and will allow you to easily mix in a blender the proper protein level along with fruit, juice, or other carbohydrate sources to achieve your meal goal. In Appendix I of the MuscleNOW & Fat Vanish program, I offer a special protein shake recommendation that I and my customers enjoy (tastes more like a treat than a healthy meal!). Although this powder has no sweeteners or additives of any kind, you will produce an excellent taste when blending with juice, fruit or other ingredients such as Hershey’s Cocoa or honey, and the mixture is very easy to transport. The physical fitness market is currently overflowing with whey protein powders that contain artificial sweeteners and other additives that may pose serious dangers to long term health, and I personally wish to consume and offer to my customers safe and effective products that are not riddled with risky ingredients. In an industry saturated with hype, we see supplement companies using dishonest advertising campaigns designed to convince the physical fitness community that certain types of more expensive protein powder sources are superior to even supermarket food, which is an absurdly false claim. In fact, they make a truthful statement (protein is necessary to build muscle, and helps to produce the proper ratios for efficient fat loss) to win the public’s trust, and once they have an audience, claim that their version of powder is more effective than alternatives (including supermarket food), which is simply preposterous. Because of this, individuals spend much more on protein powders than necessary, and often find themselves purchasing a product that is dangerous to long term health due to artificial sweeteners or other additives. 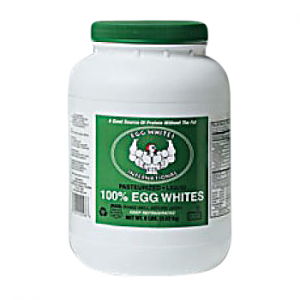 If you are one who necessitates an easy to prepare and transport powdered protein source (and having dealt with thousands of clients who follow my MuscleNOW & Fat Vanish methods, I know that most are in this category), then I believe the Rose Acre Farms Egg White Protein Powder is the brand you should strongly consider, as you will avoid additives and artificial sweeteners, instead consuming a 100% pure, fresh egg white protein powder, direct from the farm, that provides a safe, convenient and effective way to achieve your protein needs. I have purchased a 10 pound box of your protein powder and I can tell you that it is about half the price and twice the amount that I was getting from other sources. When I accidentally came across your protein I was amazed at the amount and the low cost but when I saw your name at the bottom of the announcement I knew it was a reliable source and I knew it was no accident that I found that protein! Thanks again. Can I Mix Without A Blender? If you wish to mix the Rose Acre Farms Egg White Protein Powder without a blender, please order a shaker bottle. • Shipped directly from the farm. 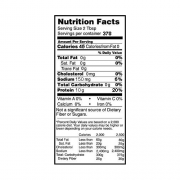 • Produced and dried under USDA inspection. • Only fresh eggs are used to make this product. • 100% pure dried egg whites with nothing added. • NO sweeteners, NO preservatives, and NO additives of ANY kind! • Since this product is shipped via UPS, you must provide a physical mailing address when ordering. The item cannot be shipped to a PO Box.